Over 250 participants from more than 40 countries attended the 3rd International Green Roof Congress (13th-15th May) in Hamburg, using it as a platform to gather information on future trends for roof and façade greening. 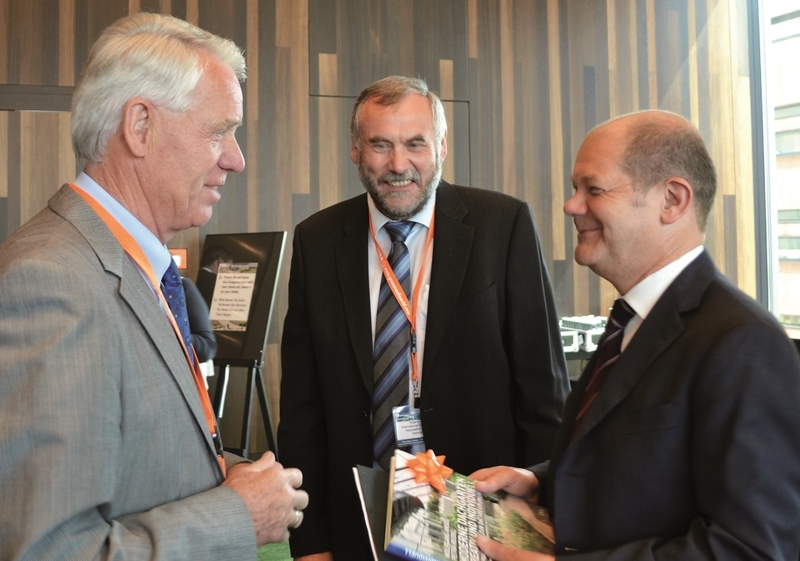 One of the highlights of the event was Lord Mayor Olaf Scholz’s appearance to present the new Green Roof strategy of Germany´s second largest city Hamburg. The International Green Roof Association (IGRA) and the German Roof Gardener Association (DDV) invited the Green Roof branch to Hamburg for the three day multidisciplinary and transnational information exchange under the patronage of the Federal Minister of Transport, Building and Urban Development, Dr. Peter Ramsauer. Given the other events which were also taking place in Hamburg, namely the International Garden Show (IGS) and the International Building Exhibition (IBA), with their spectacular landscape designs and innovative living concepts, there was no better place this year to present a status report on Green Roofs at an international level and to identify future areas of application. IGRA President Roland Appl provided the guiding principle for the congress with his speech “Green Roofs Quo Vadis?”. The subject of Green Roofs in Germany is often limited to the ecological values of the so called “extensive” Green Roofs, which hampers the creative potential of architects. The Danish architect Jakob Lange (Bjarke Ingels Group – BIG) demonstrated in his speech “Green is the New Black” that green areas on roofs also have an impact on fun, quality of life and the design of experience spaces for the residents. It’s not for nothing that the multi-award winning architecture firm feels bound to the concept of “hedonistic sustainability”. 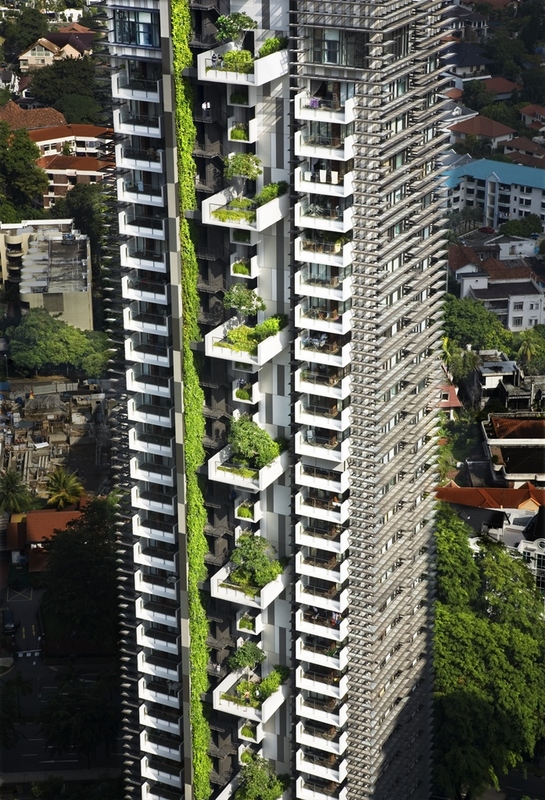 The Singaporean architect Wong Mun Summ (WOHA) also places the needs and wishes of homeowners and tenants to the fore in his greening philosophy “Breathing Architecture”. The same holds true for the urban waterscapes of the urban planner and landscape architect Prof. Herbert Dreiseitl, who brings rain water as lifeblood and a natural climate buffer back into public spaces and makes it a tangible experience. 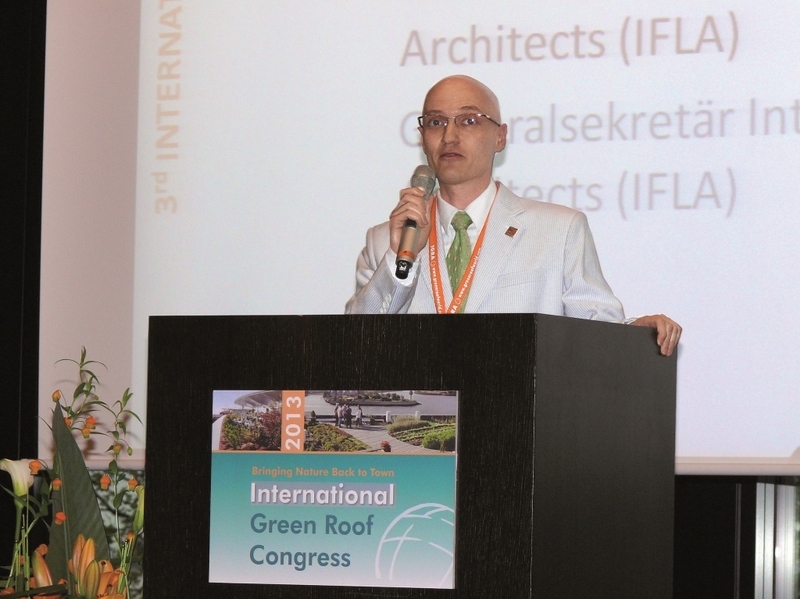 The important role which landscape architects can play to promote Green Roofs was emphasized by Ilya Mochalov, Secretary General of the International Federation of Landscape Architects (IFLA). The momentum which the subject Green Roofs can take when political deciders set the agenda was made clear by the Lord Mayor of Hamburg Olaf Scholz in his greeting to the congress participants. With his vision of a living roof landscape with green and recreational qualities, he has commissioned the development of a comprehensive municipal Green Roof strategy. During the two days 30 speakers from 10 countries presented new and fascinating ideas for the future of urban roofs. The programme came full circle with the announcement of the 4th International Green Roof Congress to be held in Istanbul in 2015. Further information about the 3rd International Green Roof Congress can be found at http://www.greenroofworld.com. The congress volume with summaries of the speeches and contact details for the speakers can be downloaded as a PDF.